Following our highly successful Entrepreneurs Showcase last month, please join us for the final Harvard Alumni Entrepreneurs event of 2017 on November 16 at the downtown offices of Kutak Rock. 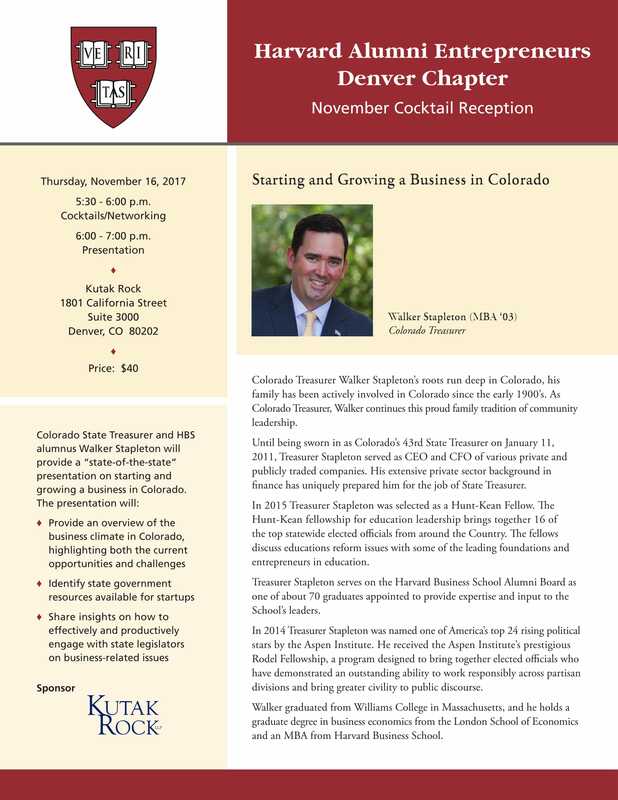 Learn, network, and build business relationships with your fellow Harvard alumni in Denver. Price: $40.